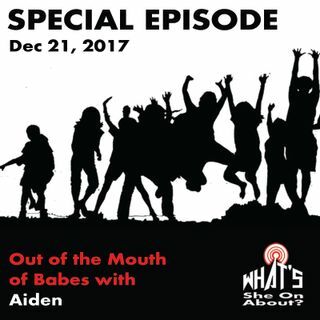 Special Episode: Out of the Mouth of Babes with Aiden | What's She On About? We did it again! It's another special episode of Out of the Mouth of Babes. This time Mitzie chats with Aiden about family reunions, Pokémon and the best thing about second grade. So fun - we'll probably do this again!